the two ELFINs are honored to be launching aboard the final Delta II rocket to ever fly. This historic rocket has such a storied life: the final launch marks the 100th consecutive successful launch of the Delta II, 155th successful mission of the Delta II, and 381st flight of a rocket carrying the Delta name since the 1960s. The final flight of America’s space launcher workhorse truly marks the end of an era. View a selection of launch photos below! This American-made rocket traces its roots back to the dawn of the Space Age and the depths of the cold war with the Thor intermediate range ballistic missile. The Air Force began the Thor program in 1954 with a single, significant goal: the capacity to launch a nuclear weapon from Great Britain into the heartland of the Soviet Union, including Moscow. Industry responded to the call, and by 1958 the first of five dozen missiles was delivered to Britain. At the time, the budding space agency, NASA, saw potential in Thor as a space launcher, and selected the fourth iteration of the missile, the Thor-Delta, for its own purposes. By 1960, NASA had launched its first Thor-Delta from Cape Canaveral Air Force Station in Florida, which ended in failure. The second attempt just 3 months later successfully put the very first US communications satellite, Echo 1A, in orbit. The Delta rocket line has been on the brink of retirement several times, perhaps most notably in the 1980s, when the U.S. government sought to transition all of its satellite launches to the space shuttle. That policy changed in the aftermath of the Challenger accident in 1986, resulting in the creation of the Delta II and the restart of the Delta production line, which first flew in 1989. Over the last six decades, the builders of the Delta rocket family changed names through multiple corporate mergers and acquisitions, beginning with the Douglas Aircraft Company, then succeeded by McDonnell Douglas, Boeing, and United Launch Alliance (ULA), formed in 2006 by the marriage of Boeing and Lockheed Martin rocket programs. The Delta II was supposed to be a rapidly deployable, low cost, expendable launcher. In the 1990s and 2000s, with the advent of GPS satellites, the Delta IIs were sometimes lifting off two to three times per month. Delta IIs were responsible for 48 GPS satellites for the U.S. Air Force’s Global Positioning System over a course of two-decades during which the satellite network became a part of the everyday lives of billions of people worldwide. They hauled the bulk of Iridium’s first-generation fleet of voice and data relay satellites into low Earth orbit on 12 launches as well as GlobalStar’s fleet of satellites. However, the Delta II was most famous for its scientific contributions: the first three Mars rovers, Sojourner, Spirit, and Opportunity, were all propelled towards the red planet by Delta IIs. Other Delta IIs dispatched the MESSENGER mission to Mercury orbit, the Dawn mission to the asteroid belt, the Spitzer Space Telescope, and the planet-hunting Kepler observatory. UCLA has contributed to many of the science missions launched aboard Delta IIs, such as THEMIS/ARTEMIS, DAWN, and finally, ELFIN. As ULA’s merger occurred and SpaceX grew, the venerable Delta II was slowly getting phased out and replaced with heavier launch vehicles. ULA moved on to focus on the Atlas 5 and Delta 4 boosters, and SpaceX’s Falcon 9 rocket now carries up many of the same types of payloads that were once tailored for the Delta II. The future of the Delta II rocket hung in the balance as there were no more scheduled launches after NOAA’s Suomi NPP weather satellite took flight in 2011. 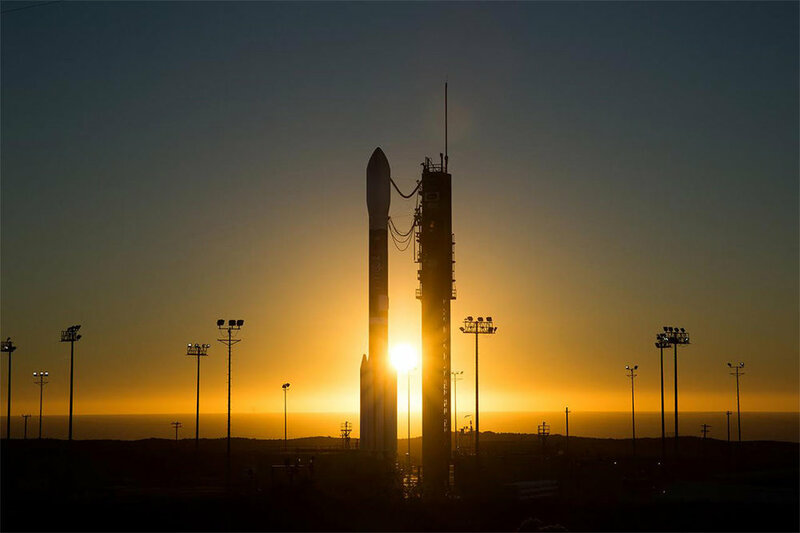 But in 2012, NASA gave the Delta II another lease on life, with the purchase of three more launches from Vandenberg carrying two NASA Earth science satellites and NOAA’s JPSS 1 polar-orbiting weather observatory, which lifted off on the most recent Delta II mission in November 2017. A year later, NASA booked ICESat 2 adding a fourth flight to the Delta II program’s final chapter, which the first ELFIN, ELFIN-A, was manifested on in 2014 through ELaNa-18. ELFIN B was subsequently chosen to fly aboard the same mission in 2017. On its final flight, the Delta II will be propelled by a kerosene-burning first stage Aerojet Rocketdyne RS-27A main engine, four strap-on solid rocket boosters, and a restartable second stage AJ10-118K engine. The target for the ICESat-II mission: a roughly circular polar orbit around 450 km above Earth, with both ELFINs and two other cubesats getting dropped off tens of kilometers below. The Delta II’s iconic color will also become a part of space history with the rocket’s retirement. When the launch happens, the baby blue paint job streaking through the sky will be a perfect way to commemorate the first two all-Bruin spacecraft.